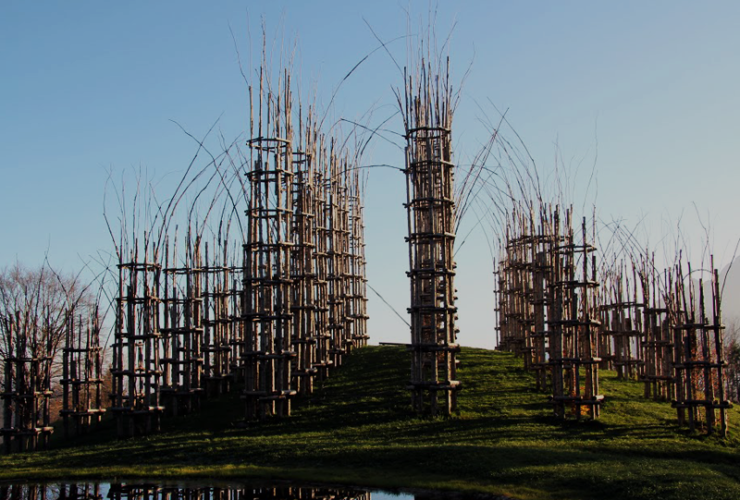 A structure built entirely with local plant material, located on a secluded hillside along the way to Pizzo Arera and surrounded by trees. 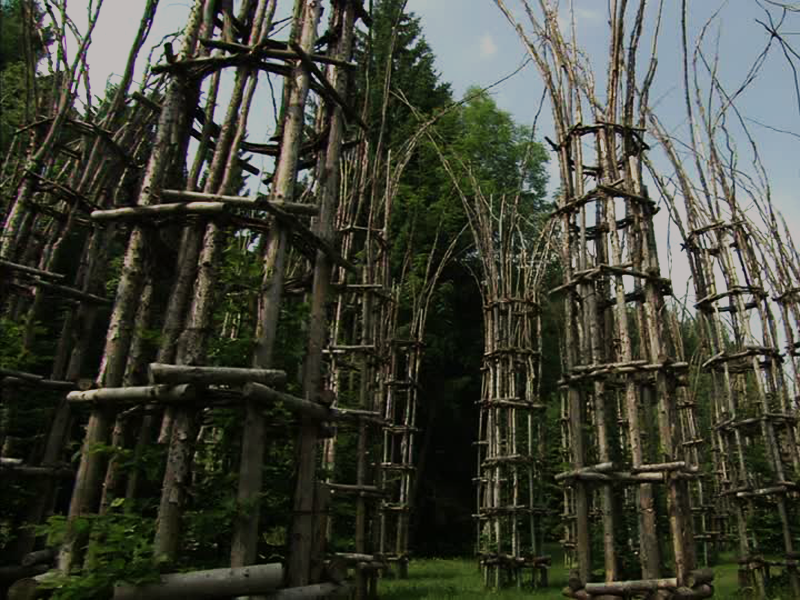 The cathedral was built according to the ancient art of weaving, which involves the use of flexible wood, stakes, ropes and nails. 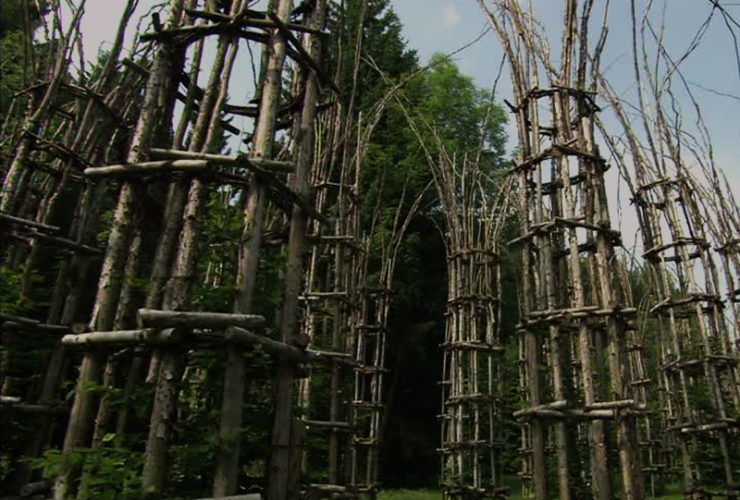 All materials were emplyed as prescribed by the complex creative methods of the past, respecting the natural cyclus of birth, growth and death. 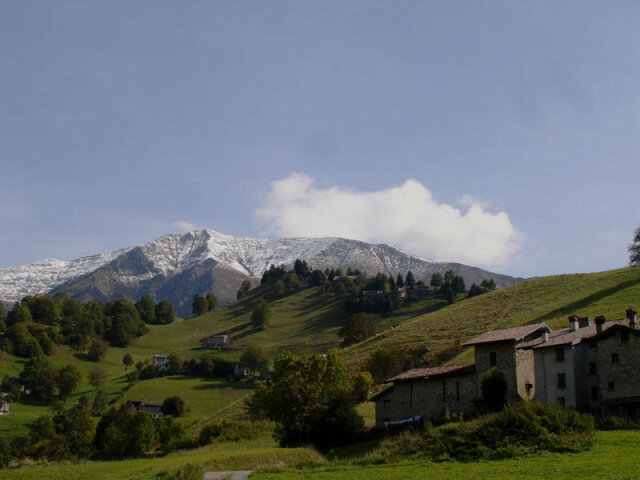 The cathedral is the symbol of the Monte Arera Project, promoted by Parco delle Orobie Bergamasche and the municipalities of Oltre il colle, Roncobello and Ardesio. 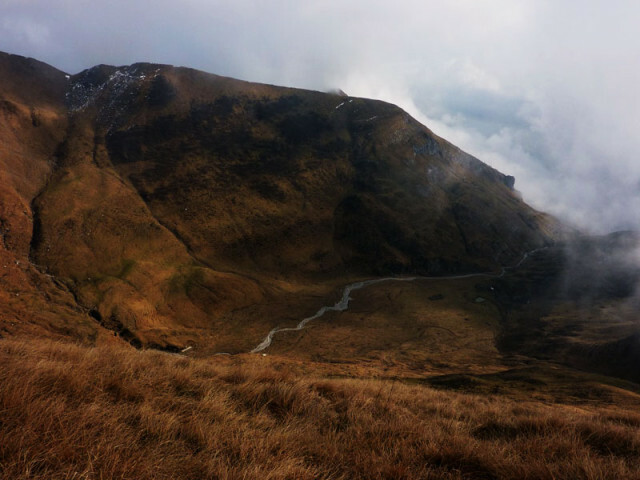 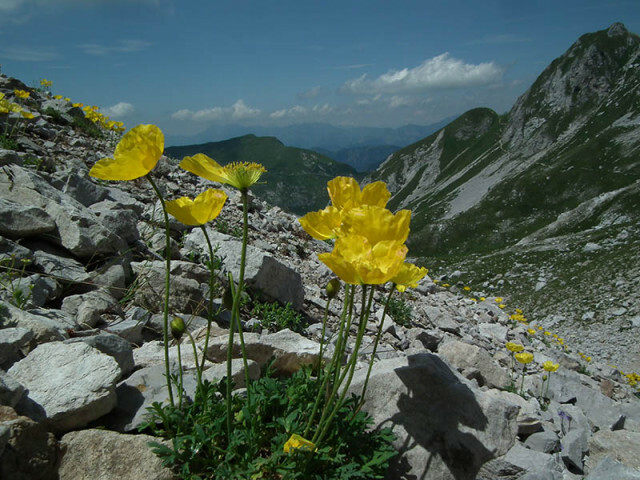 The project aims to revitalize and to highlight the richness and uniqueness of Alpine plant species that grow in the Park and on the ridges of the Orobie Bergamasche. 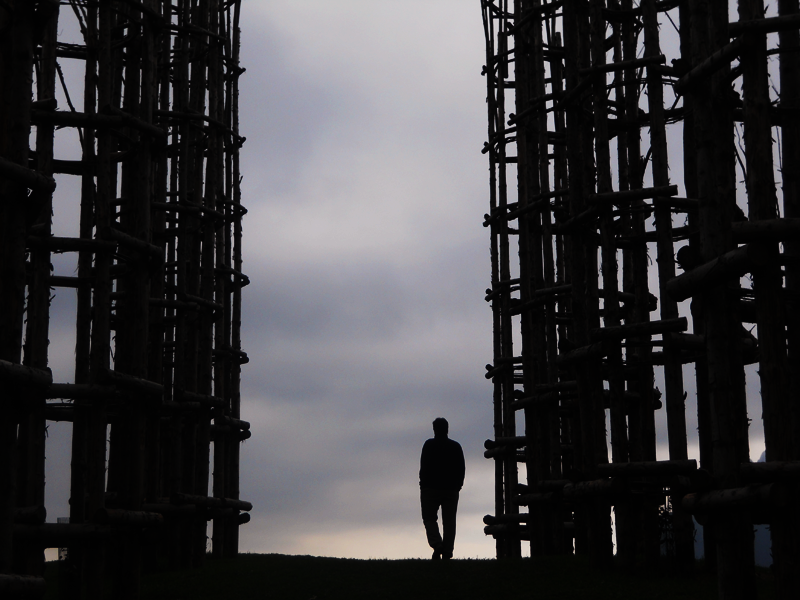 There are two other tree cathedrals. 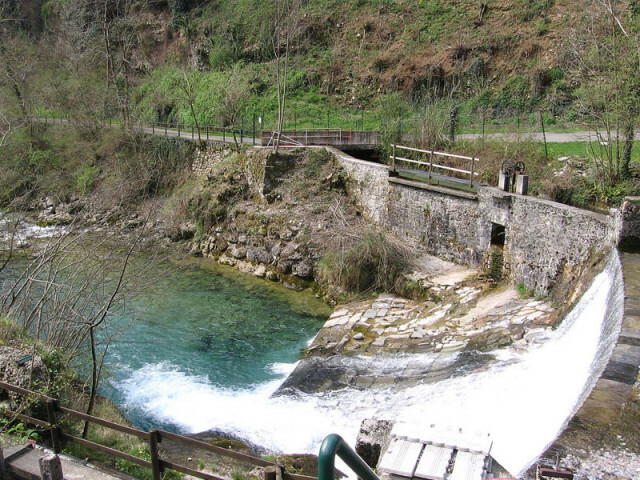 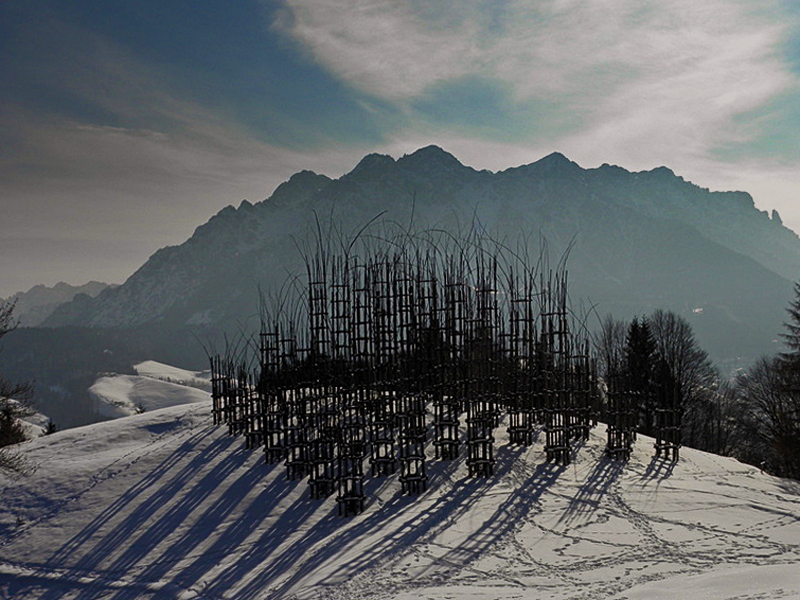 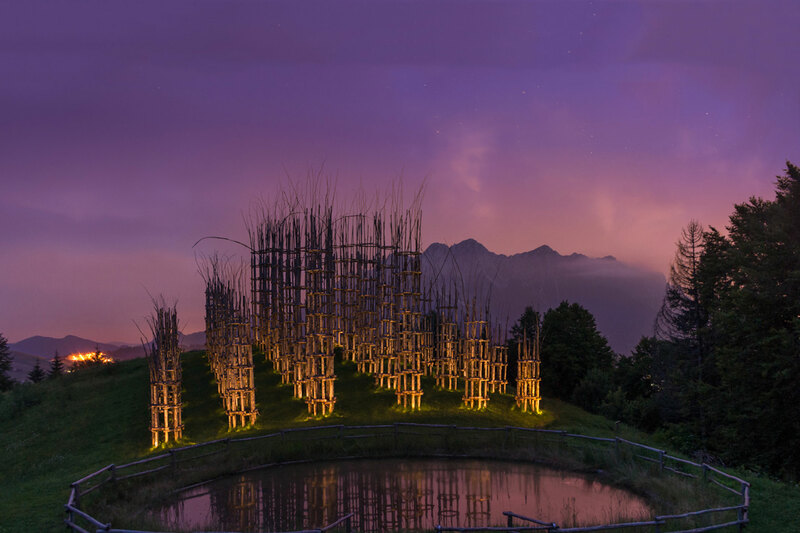 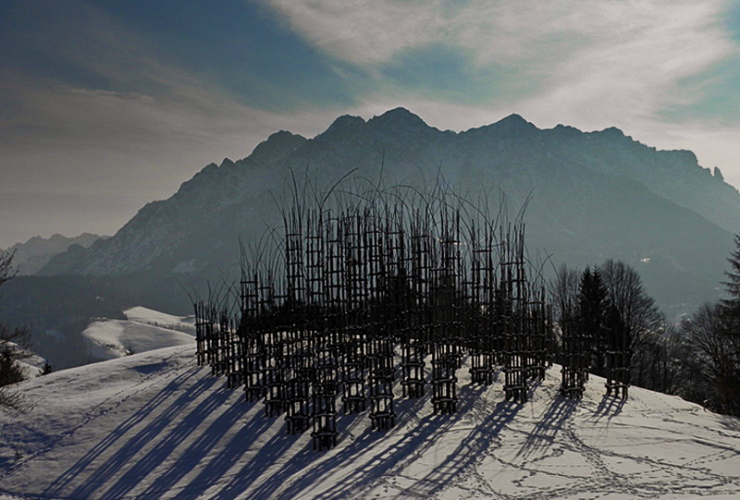 The first one is located in Val Sella, Malga Costa, made of hornbeam trees and built in 2001 (it measures 82 X 15 meters, it’s 12 meters high and it covers 1.230 square meters). 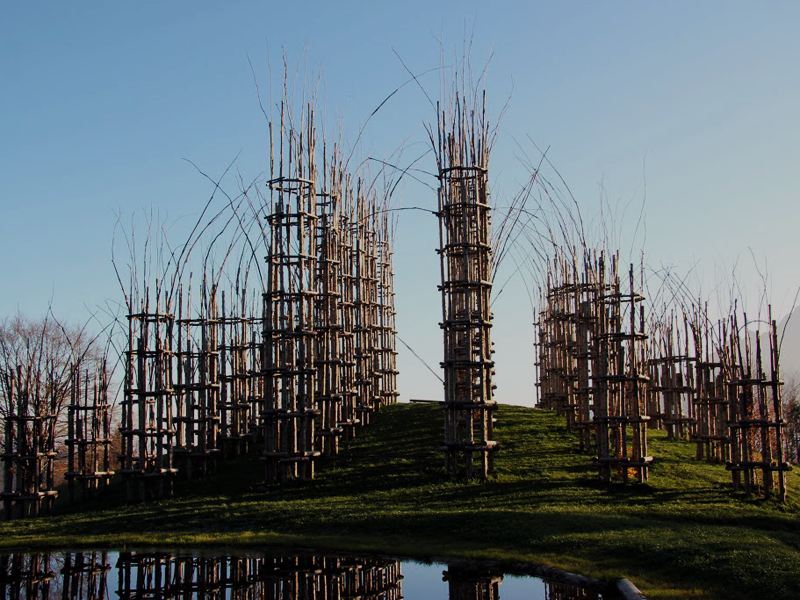 The second one, in oak trees, will be built in May 2015 in Lodi, along the Adda river, for EXPO 2015. 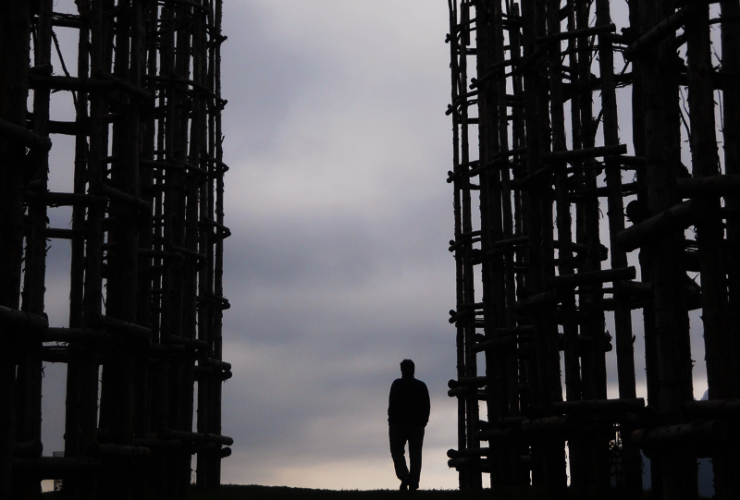 It will be made of 5 naves, 180 columns, 70 meters long, 22 meters large and 20 meters high. 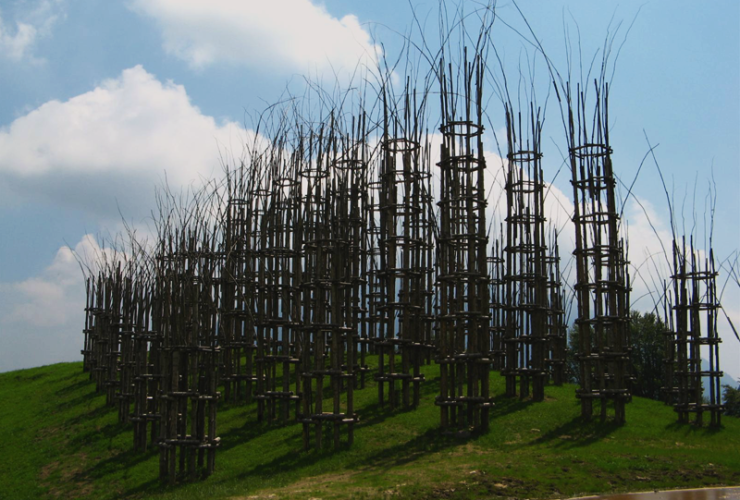 Giuliano Mauri (Lodi Vecchio 1938 – 2009) was the most important italian land artist, both in Europe and around the world. 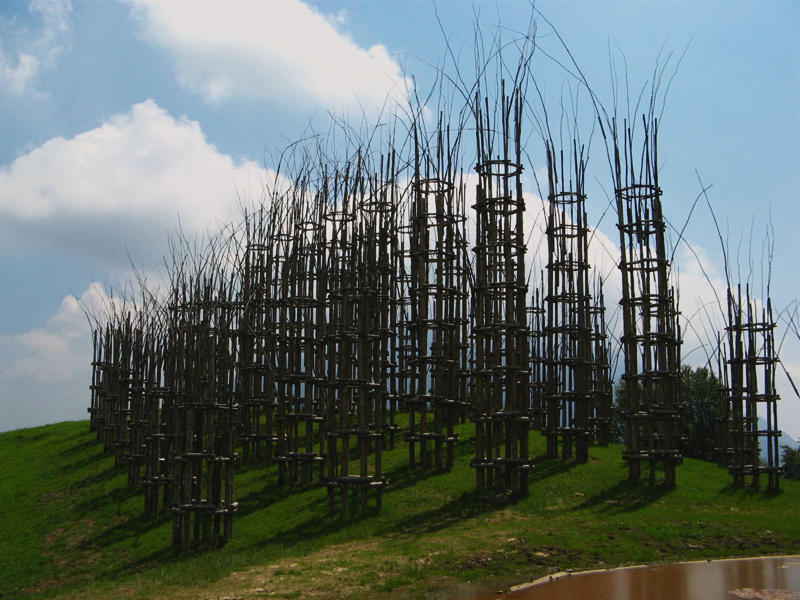 His work has been praised by critics and audiences for his vision of a human presence in the natural landscape that takes part of the natural cyclus. 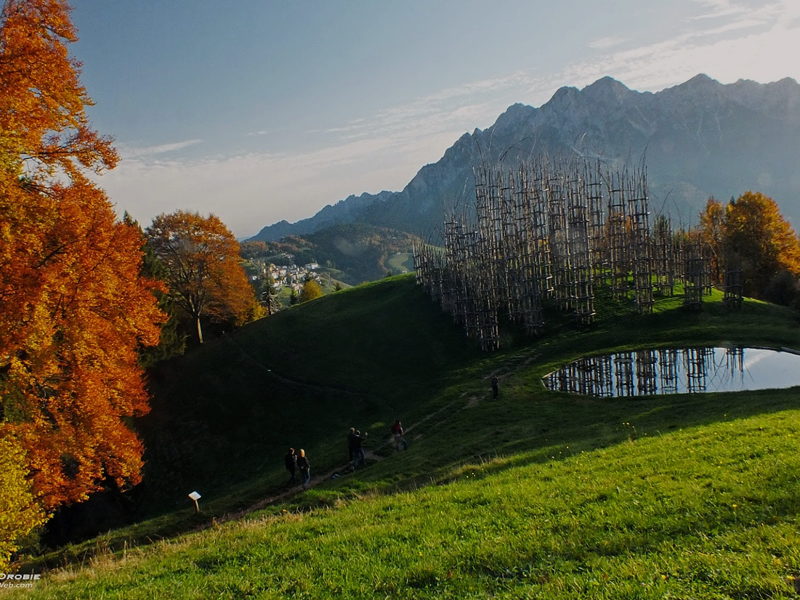 His main masterpieces are the “Mills”, the “Heavenstairs”, the forest on the island at the source of Tormo and the observatories in Gorlitz (Germany) and Sgorzelec (Poland). 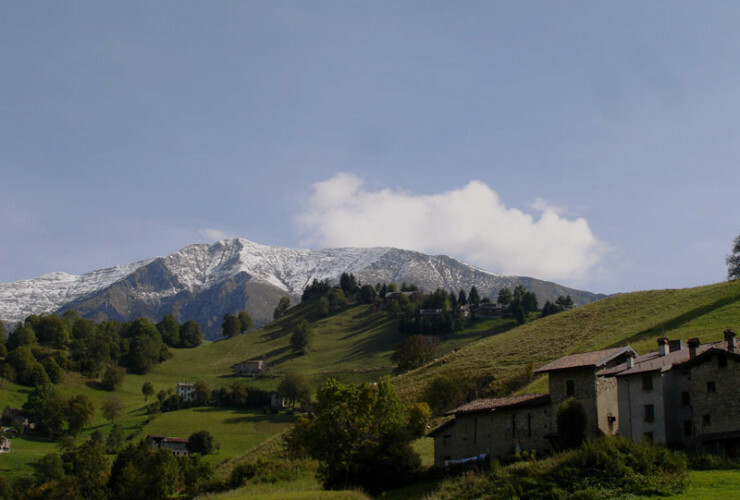 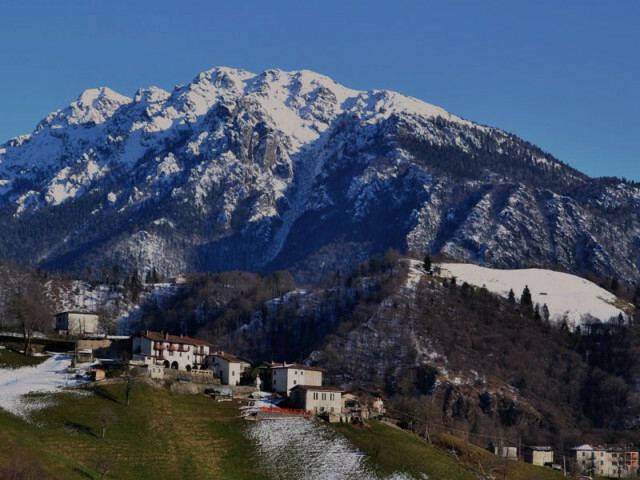 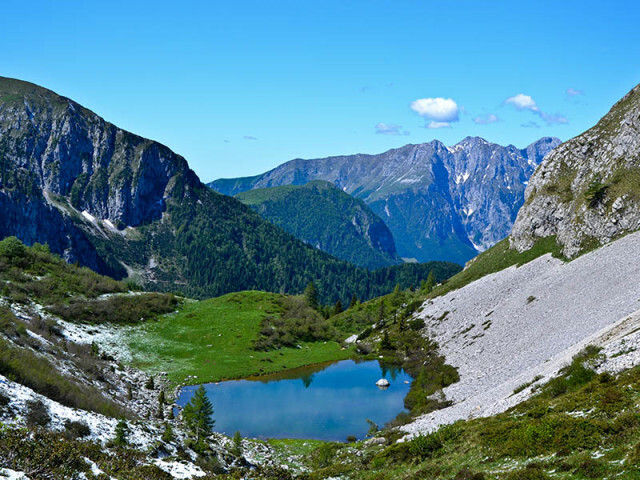 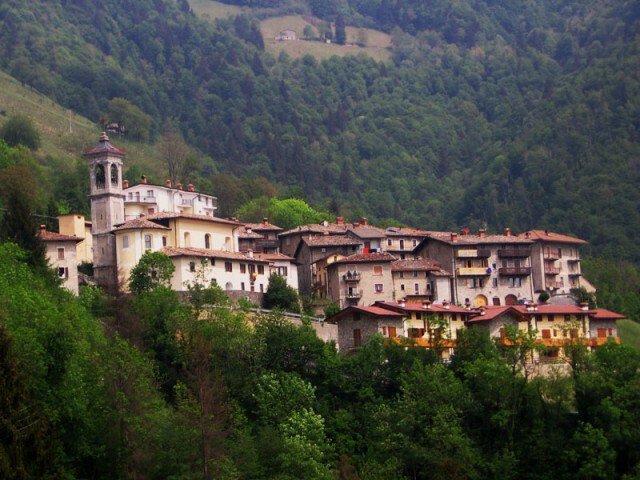 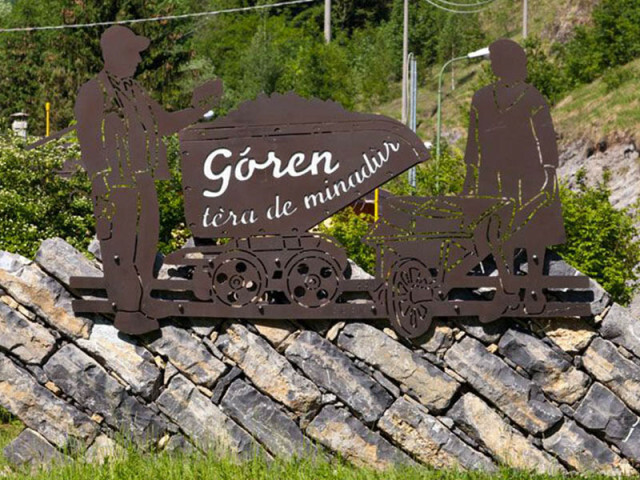 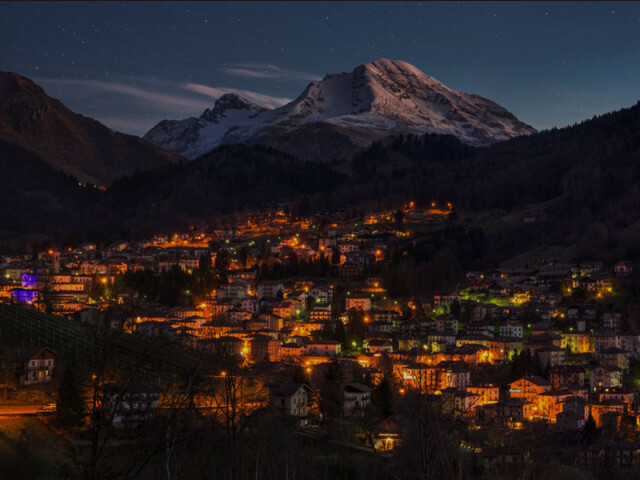 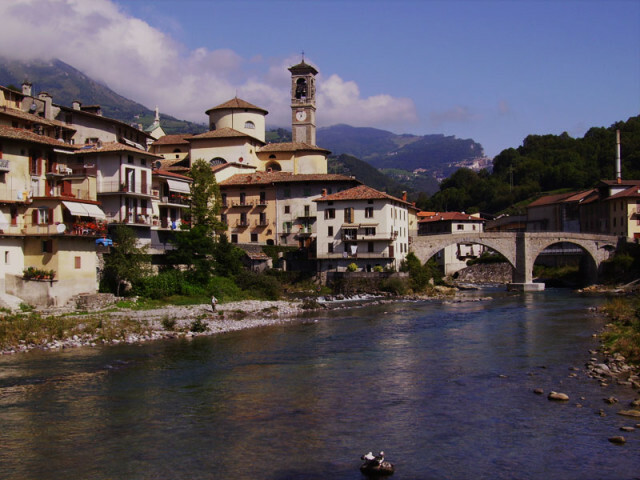 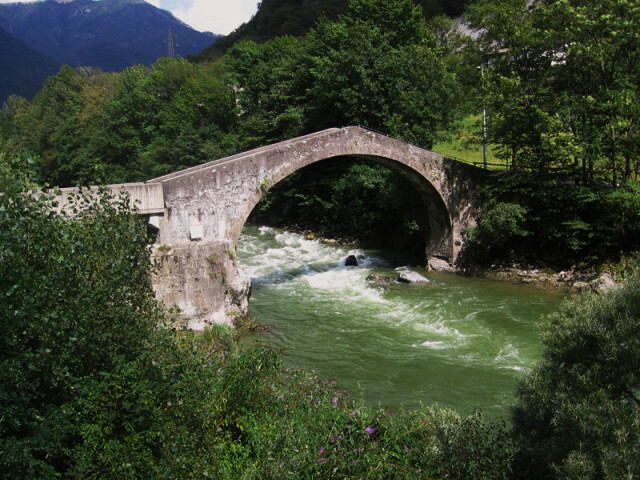 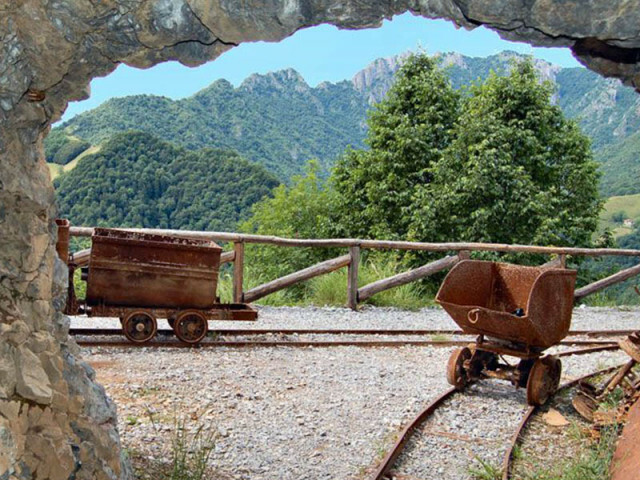 Orobie Alps are a constellation of towns and villages which are worth to be discovered, embedded in idyllic nature, majestic mountains and sparkling streams. 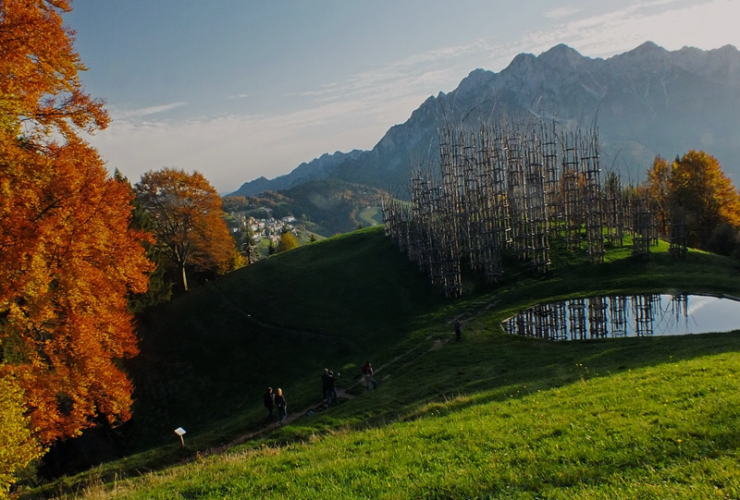 October 19th chestnut festival at Parre!